WE’RE FINALISTS AT THE CUSTOMER EXPERIENCE AWARDS! It’s exciting times here, at The Insurance Emporium, as once more our hard work has been recognised! We’re going to be back on the awards scene again, having been nominated for another prestigious accolade. 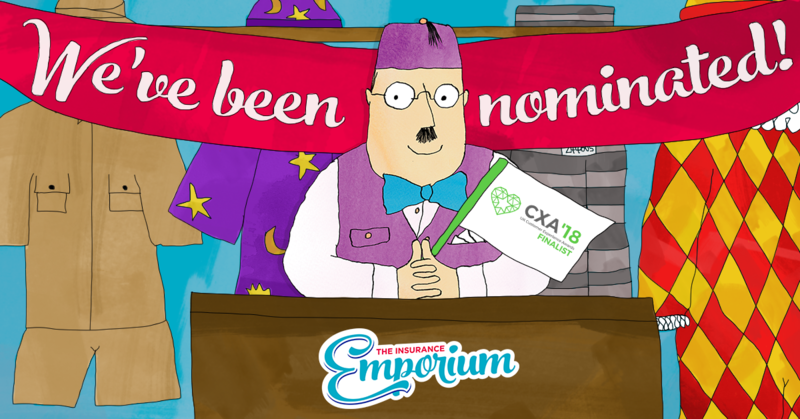 This time, we’ve made it through to the finals of the UK Customer Experience Awards 2018! The category we’ve been nominated for at the Customer Experience Awards, which is now in its ninth year, is Transforming The Customer Experience. Within this category, we’re up against some highly prestigious companies. We think that going up against such big businesses and well-known firms just goes to show that our hard work in delivering a fantastic customer experience is paying off! These awards are intended to look at the experience that customers receive from different companies and to reward businesses that always strive to deliver an outstanding customer journey. They welcome entrants from all industry sectors, with SMEs and big businesses alike competing in each of their respective categories. On October 11th, we’ll be heading down to London for the awards finals at Wembley Stadium. At this event, we’ll present to judges how we’ve transformed the customer experience and why we deserve this award. This event is predicted to be the world’s largest gathering of customer experience practice in a single place. As well as making our case for why we deserve to win this award, there will also be a chance to party. In the evening of the same day, we’ll be dressing to the nines for a black tie gala dinner and awards ceremony, where the team will have everything crossed in the hope that we’ll win that coveted award! They’ll be the judge of that! The large judging panel is made up of independent and impartial business professionals who follow the awards’ stringent criteria for choosing the winner. This scoring criteria is also endorsed by the Cranfield School of Management. Because we will be presenting our case live at the finals, it will be a fair contest between all the nominees taking part. We’re so excited to have been nominated for this prestigious award, so let’s hope we can take home the winners’ trophy! Excellent customer service is something we work hard to provide so, if you’re looking to insure one of your passions in life, you could find out for yourself how good our service is. With insurance for caravans, pets, horses, weddings and more, stop by The Insurance Emporium today and discover your adventure!